Every family has its own little traditions. Little things that they do every year to celebrate milestones, prepare for a holiday or just for fun. Well the Friar Family, from McKinney Texas has a very unique one that involves shirts from 2008, SouthWest Egg Rolls and a popular food chain. You see, Stephen and his now-wife Christina had their first date at a Chilis when she had just moved to the area, and was looking for friends. 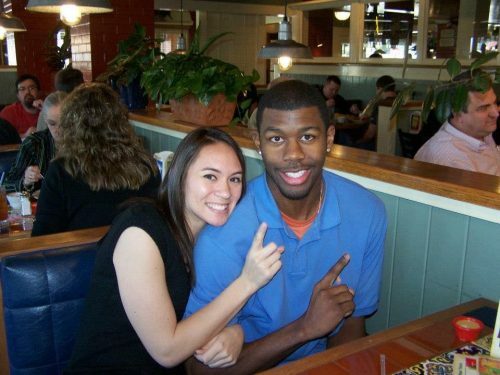 That friendship grew into a loving relationship and one year later, Stephen had the idea to go back to Chilis and recreate that date. They did everything the same. From the clothes they wore, to the food they ordered. They even tried to talk about the same things they had during that first meeting. And they snapped a picture. Their relationship continued and evolved, as did the tradition. 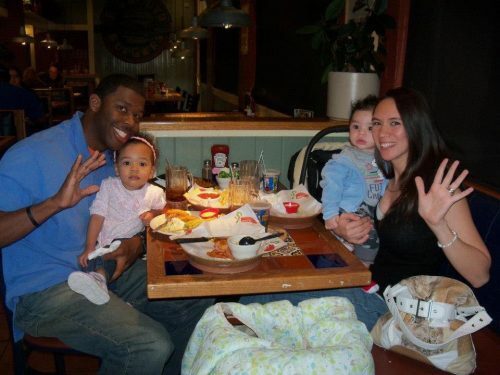 Now, not only do the married Stephen and Christina spend every anniversary in Chilis, they do it with their 4 awesome kids! We spoke with Stephen about what they do and why they do it. 1- Whose idea was the anniversary date? The anniversary date was my idea initially. I was trying to figure out what to do with our date coming up that 1st year, and I figured nostalgia would be the best choice. 2- Have you heard from Chilis? Will they be picking up the tab for next year? We have heard from Chili’s in Sherman, and also the corporate office. They gave us a gift card for dinner. 3- Do they have booths big enough for spouses and grandkids in the pictures, years down the line? They don’t have booths big enough as of now, but I guess as years go by we’ll have to add chairs and tables. 4- You and your wife are both coaches. Do your kids follow the passion for sports? Yes our oldest two definitely. My daughter has played everything but wants to be a volleyball player like mommy, and my oldest son is obsessed with basketball. They are always in the gym at our practices and games. 5- Do you ever wear the date outfits throughout the year, or are they retired until Anniversaries? Our outfits at this point are reserved for anniversary only. Probably since both of our looks at the time are out of style now. We will dry clean then but we treat them like Christmas decorations that you only get out when you need them. 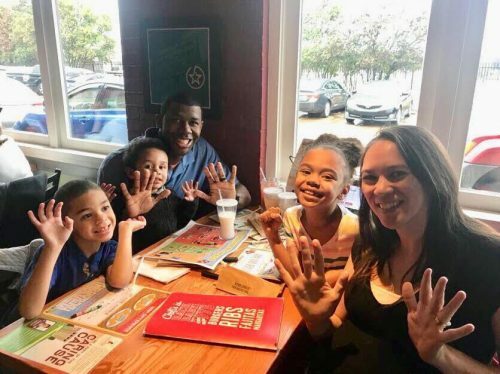 We’re looking forward to seeing many more years of the Friars at Chilis and if we ever run into them on Anniversary night, the first plate of ribs are on us.